The HHMI High School Scholars Research Program is an exciting opportunity for public and private students with a passion for science to gain hands-on research experience. Students work in teams to conduct biomedical research over the course of seven weeks at the University of Miami. Placements are available in areas such as biology, biomedical engineering, neuroscience, ophthalmology, and other research areas. We make every effort to place students in labs conducting research that align with students’ interests, but we cannot guarantee that placements will be made in students’ exact area of interest. Program participants will commit to 40 hours per week over a 7-week period. Public school students will receive a stipend, and private school students will receive community service hours. Student teams will be mentored by University of Miami professors, be responsible for an investigative project, prepare a research report suitable for publication, and give an oral presentation at the UM Summer Research Symposium on July 25. The 2019 program dates are from Monday, June 10th, 2019 to Thursday, July 25th, 2019. Application deadline is 5PM Friday, March 1st, 2019. Admission is based on a combination of high school grades, courses taken, an essay, a letter of recommendation, and career goals. Students must submit all of the required materials by 5pm on Friday, March 1st, 2019 in order to be considered for the program. See Application Procedure below for a list of required materials. How did you get interested in science? What do you like about science? What have been your favorite sciences classes and why? If you have conducted research before, what did you like best about it? If you have not done research before,why do you think you will like it? What makes you feel that you want a career as a scientist? How do you see research fitting into your profession 10 years from now? All application materials must be received by 5PM on Friday, March 1, 2019 for full consideration. For additional information please contact the HHMI Program Coordinator at 305-284-3530 or email hhmi@miami.edu. 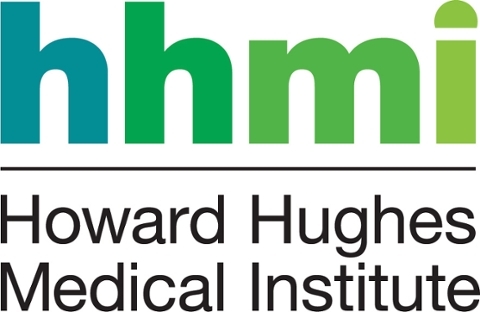 What are the HHMI High School Scholars program dates? The program runs for seven weeks starting in early June and ending in late July. Please check our website for exact dates. How competitive is the program? About how many students are accepted? The HHMI High Scholars program is highly competitive. We receive over 75 applications for 20 slots (10 public school students and 10 private school students). Please ensure we receive your complete application by the due date listed on our website. What are my lab hours? This is a full time program. Students work in their labs Monday through Friday for approximately eight hours each day with a one-hour break for lunch. Lab hours are set by the research mentors and may vary depending on the research project. Yes, attendance each day of the program is mandatory. There is no cost. Public school students receive a stipend and private school students receive community service hours. Can students outside of Miami-Dade County participate? No, only students that attend high school in Miami-Dade County are eligible. Students are reimbursed for weekly metro-rail passes at the K-12 discounted rate for each week of the program. No, we don’t cover the cost of parking. Mentors are chosen based on students’ research interests. Because there are a limited number of mentors available during the summer, students must list several areas of interest and be as specific as possible about their research interests when filling out the application. Every attempt will be made to match students with mentors whose research aligns with students’ interests as closely as possible, but we cannot guarantee the availability of mentors in specific areas. You will learn who your mentor is during the mandatory orientation meeting held before the program begins. You will learn about your research project once you begin working in the lab. Will I have library access? Yes, students will be granted access to the Richter Library on the Coral Gables Campus upon request. How long does my research paper have to be? How will I present my research? At the end of the program each team is required to present their research at a UM summer research symposium. Yes, students will meet once a week with the program director. Students will be sent a confirmation email once we have received your application. Applicants will be notified of their acceptance status by the end of April.